“Sitting near a waterfall munching on trail mix” probably won’t be the common response. But for a growing number of Trojans, it could well be something along those lines. 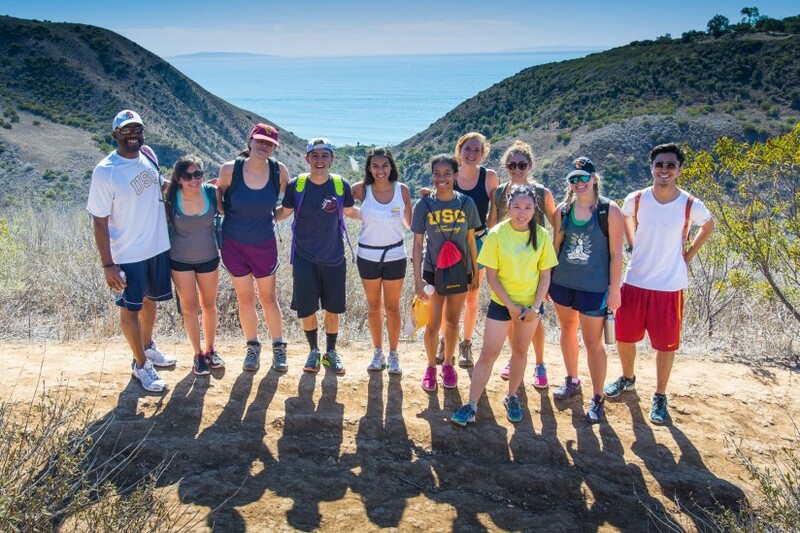 Some 800 have hiked Southern California’s scenic canyons and mountain trails alongside faculty thanks to a student-run program called Peaks and Professors. 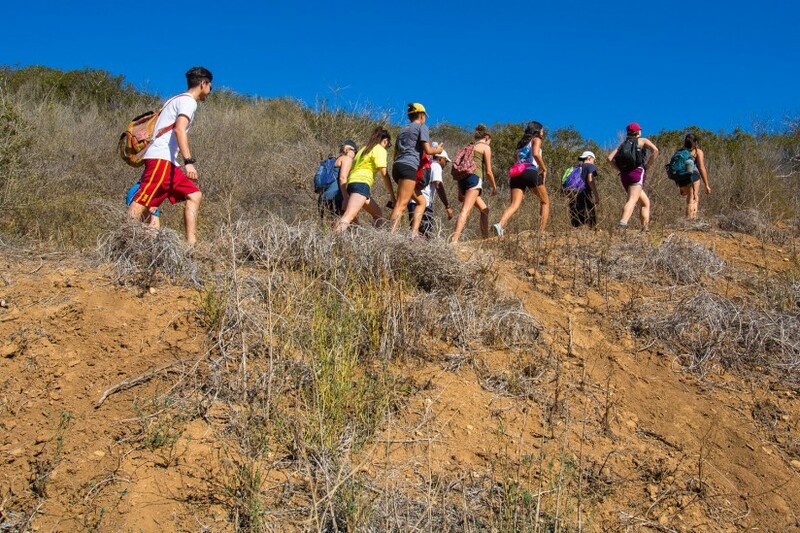 Billed as the nation’s first organization dedicated to fostering relationships between students and academics in the great outdoors, the club dovetails with USC’s increasing focus on residential life — specifically, the idea that a great deal of learning takes place through interactions not involving a lectern or a laptop. 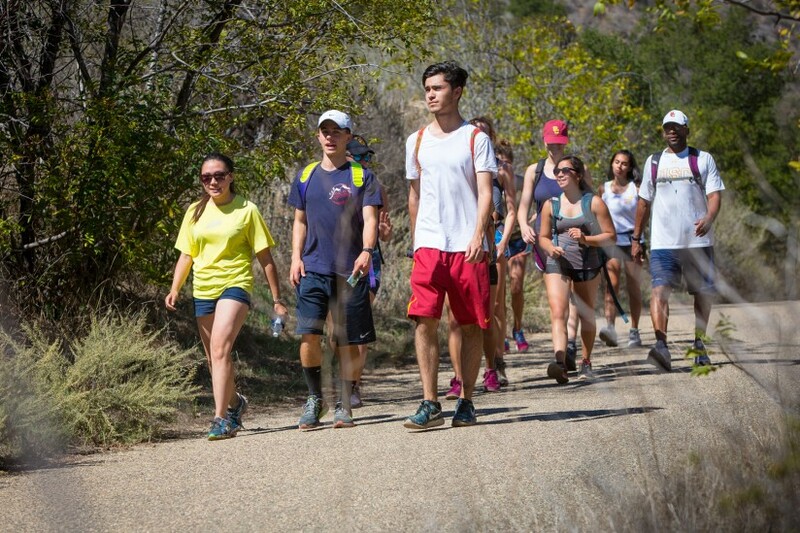 The format is simple: One professor and up to a dozen students spend the better part of a Saturday or Sunday rambling along a trail, filling their lungs with fresh air, talking about whatever comes to mind. No syllabus. No grades. No pressure. With 83 hikes completed — nine of them overnight camping trips — it’s hard to believe this club has only been around three years. Peaks and Professors recently reached a new pinnacle when it received the Tommy’s Award as 2015-2016 Student Organization of the Year at an April 20 ceremony hosted by the Division of Student Affairs. The award came as club founders Allegra Bishop, Adrienne Visani and Jack Koppa are themselves preparing to hit the trail. All three will graduate in May, and Visani will be honored as one of two class salutatorians at commencement. Peaks and Professors was the brainchild of Bishop. 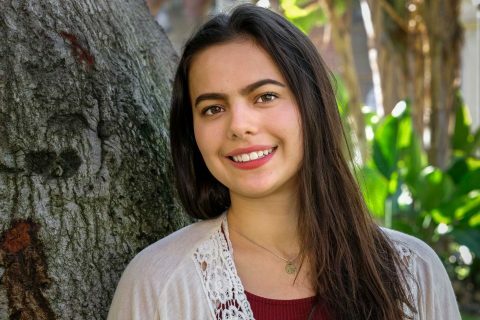 A human biology major and lifelong hiker, she was looking for a way to connect with her professors outside lectures, labs and office hours. “It can be kind of hard to open that door, both figuratively and literally,” said the Trustee Scholar from Montana. She dreamed up the idea of inviting professors along on hikes. The “aha moment” happened while hiking in Alaska with her dad the summer after her freshman year. A month later, Bishop recruited Visani and Koppa as co-founders. Peaks and Professors launched in fall 2013 with four student trip leaders and four hikes offered that first semester. 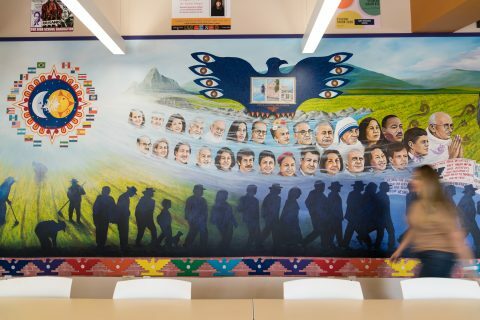 In three years, the pool of certified trip leads has grown to 24, and the number of trips they organize has mushroomed to 34 per semester — as many as five on some weekends. What hasn’t grown is the size of the actual hiking groups. Each is still restricted to 10 students, one or two trip leads and a professor. Participants share the cost of gas, which usually runs $5 and $8 per person. No membership is required. Sign-ups are first-come, first-served, and demand is extremely high. “When we open new trips on the website, they fill up within the first couple of minutes,” Visani said. Participating professors have included Jesse Unruh Institute of Politics Director Dan Schnur, entrepreneurship expert Adlai Wertman and anthropology power-couple Erin Moore and Craig Stanford. 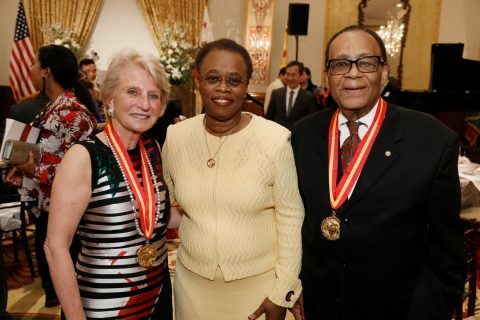 Administrators like Ainsley Carry, vice president of student affairs, Erin Quinn, USC Dornsife associate dean for science and health, and Visions and Voices Director Daria Yudacufski have also headlined recent trips. USC Dornsife’s Rebecca Broyer and Brett Sheehan are among Peaks and Professors’ biggest fans. Both have been the club’s faculty advisers since its inception and have gone on multiple hikes. Broyer, an assistant professor who teaches high-demand courses like general and organic chemistry, really appreciates the casual back-and-forth with students. “In my lectures we don’t get a chance to do that because of the large size of the classes,” she said. Ruddell, an expert in geospatial technologies, liked his first day-hike to Will Rogers State Park in 2015 so much that he signed up for an overnighter to Devil’s Punchbowl in the Angeles National Forest the following November. 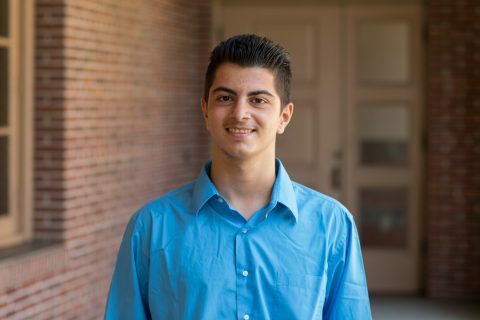 Though the group’s three founders are graduating, incoming club president Thomas Donovan, a business administration major, plans to continue growing Peaks and Professors with more trip leads and more hikes.